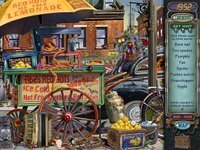 In Mystery Case Files: Prime Suspects, you're once again on the trail of a criminal, uncovering clues which will hopefully lead to his or her hideout. Each site comes with a list of items that you must find, in order to unlock the final piece of the puzzle. Several locations require the use of a flashlight or X-ray device to proceed. A battery must first be found to power these gadgets, usually hidden in another place. If I remembered correctly, this game used to be called Where's Waldo. Dungeon Escape is basically a tribute to Dragon's Lair, minus the colorful animations but retaining much of the fun gameplay that the original was known for. You're presented with several hot spots to click on in each room, resulting in the protagonist's narrow escape if done quickly and correctly. Rooms are randomized and some of the sequences are quite long, requiring more than ten clicks to successfully navigate past the entire room. 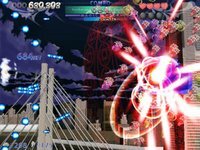 Beautiful World is a relatively unknown shooter from Project Boueigun, featuring the usual array of power-ups, collectibles end level boss encounters. Hold down the left shift key to shoot and press the Z key to launch a bomb. Scroll down slightly past the screenshots to get the latest version. Ben Jordan: Paranormal Investigator Case 3 takes place in a little Scottish village named Smailholm, and again the protagonist is charged with the task of solving another murder mystery. Compared to the last two episodes, this chapter certainly has more locations and characters to converse with. Of notable mention is the inclusion of two endings, each with a different path to take. 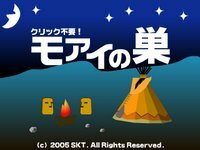 A little information on Seiklus 2, if clysm ever considers making a sequel. Dess is on a roll. She's back with another game, barely weeks after releasing Kill Your Television. Invader is her latest effort, an exploration number which can be described as Space Invaders turned upside down. You play the role of Sammie the alien, stranded on an unfamiliar world after crash landing her craft. She must search for an escape route, hidden somewhere in a labyrinth full of strange creatures and automations bent on vaporizing anything that crosses their paths. Fortunately the two blasters she wields can be used to destroy some of these obstacles. Others can only be avoided, though certain destinations may have more than one route available. There are a few secrets and unlockables worth earning, revealed only if you manage to find the exit and complete the game. 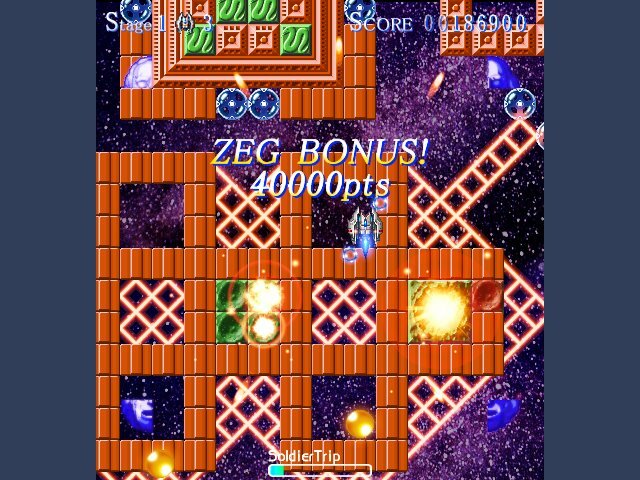 Eden's Edge is another shooter from x.x, developer of Blue Wish and Green Wind. There are two versions to download, the first one is a slightly older build and features only one stage. Expect cameo appearances from obligatory mid and end level bosses. The screen size is particularly small for a shooter, measuring 400 pixels high and 300 pixels wide. Barely enough room to maneuver around bullets. Fortunately your ship is equipped with a few smart bombs, useful in situations such as these. The left shift and control keys are assigned as the primary and secondary shot buttons. Pressing space will bring you back to the main menu even when you're playing. 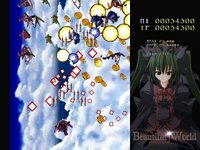 Green Wind is a shmup by x.x, developer of Blue Wish and Eden's Edge. Measuring only 256 pixels high and 200 pixels wide, it's amazing that such a small screen still manages to convey all the action expected from a fast-paced shooter. The left shift and control keys are assigned as the primary and secondary shot buttons. 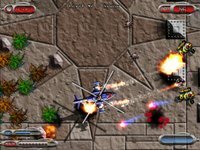 The spread shot is particularly useful to cover a wide area with bullets, although concentrated fire is much more effective for tougher enemies and end level bosses. Holding down the left shift key will cause your character to move slower as well. Press the Z key to activate a special attack, but it requires a recharge after each use as indicated by a gauge at the bottom left of the screen. Another World is basically a remake of the much-loved classic platformer by Eric Chahi himself. Gone are the pixelized backgrounds, although characters retain their vector based shapes albeit in higher resolutions. Anyone familiar with the original will want this version to replay and keep. The game features updated graphics and configurable controls, plus it runs perfectly well on today's computers. Follow the adventures of Chaykin as he is transported to an alien planet after an experiment gone awry. This update is probably what Eric had envisioned and had hoped to deliver fifteen years ago, but couldn't due to restraints of past technologies. It's also interesting to note that Eric Chahi is currently working on a new project. Dakurv releases two new screenshots for Nano Strike. Stuck in Invader? Here's a map. PyWeek 2 competition results are in. 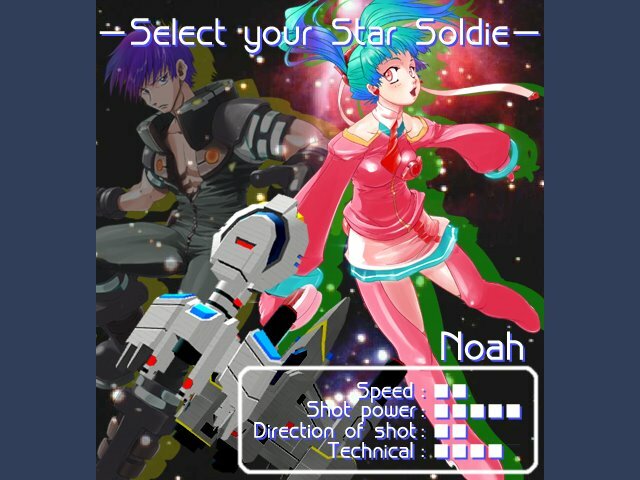 Noah, an AGS game still in production, has some pretty amazing screenshots. 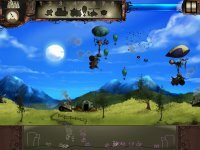 Solidland Interactive releases The Long Trip. Dungeon TV Easter Special was originally a TDC Christmas Competition entry, with decent puzzles disguised as a dungeon romp for a reality television show. Not a lot of levels in this one, but you get to alternate between two characters by pressing the shift key at any time. The objective of the game is to get both of them to the exit. A bit like Chip's Challenge, really. Japanese developers are pretty obsessed with Moai statues. Nest of Moai is basically an entire game based on the objective of touching these strange structures with your mouse cursor. Move your cursor over as many statues as possible in thirty seconds, although these tiny little guys will attempt to make matters difficult by popping up in odd places. Large statues require some rubbing, but they do contribute quite a bit to your score. Alexey's Dwice is a result of the collaborative effort between WildSnake Software and Alexey Pajitnov, the creator of Tetris. The objective of the game is to match shapes to remove them before they reach the bottom of the screen, thus destroying one of the tribe's houses in the process. Click on two similar shapes to remove them, and earn additional bonuses by finding matches with the same color. There are several power-ups to collect including one that will repair the houses. Some can be used to remove several shapes at once or break them into smaller pieces. 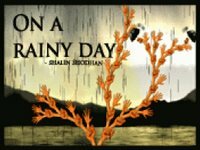 On a Rainy Day is a rather unique game submitted by Shalin Shodhan featuring lots of disembodied hands, paper boats and umbrellas. Your objective is to protect the lightweight vessels from being flooded with rainwater, by dragging any of the connected palms to pick up parasols and form a makeshift roof. Right click on any hand holding an umbrella to drop it back into the water. The gameplay is every bit as interesting as it sounds. 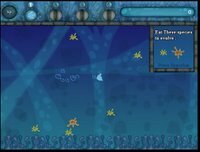 FishMan 2 - The Pirate Treasure is a four level platformer that plays a lot like Nintendo's classic Mario series. Hold the left or right arrow key to run in one direction and press the Z, space or up arrow key to jump. A few platforms can only be reached if some forward momentum is gained before executing a leap. 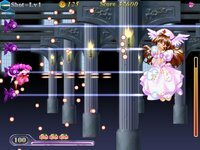 It's advisable to set your display to a lower resolution before starting the game, because there are no configurable options for full screen or a larger display window. A pretty good effort, although there are one or two minor glitches to watch out for. 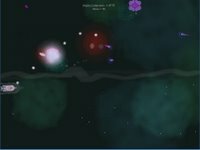 Ifrit is a horizontal shooter developed by ZAC SOFT, music contributor for Guardian of Paradise. 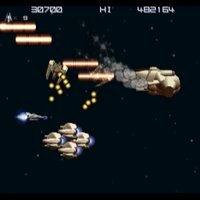 Your mission involves flying an outdated ship in an attempt to repel the alien invasion. The obsolete craft only has a beam outfitted with no room for additional equipment, hence the absence of power-ups or smartbombs. Press the Z key to shoot and C to pause. Each level ends with a boss encounter and you can continue from any stage previously attempted. The translated manual can be found on this page. Kill Your Television is the latest release from dessgeega, a game which only took her two days to code. 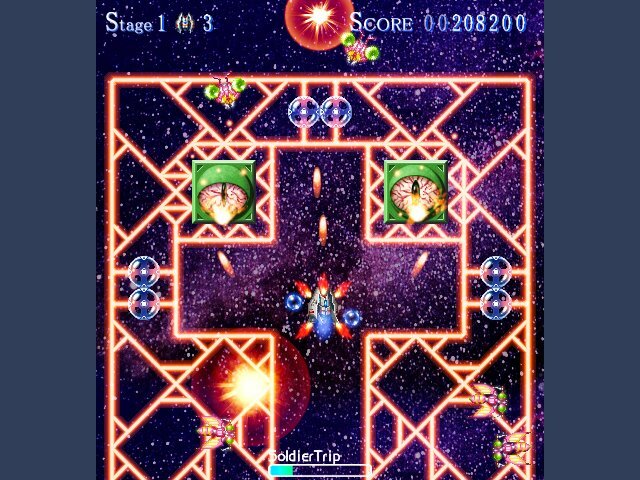 Though minimalistic, the gameplay does bear some resemblance to Every Extend. Invading television ad commercials and junk programming are attempting to influence your brain, rightly represented by a miniscule green dot in the middle of the screen. Use your telekinetic powers to disable these harmful objects and save the world, or at least yourself. Shooting a television twice will cause it to explode, sending shrapnels in opposing directions. Other televisions hit by these shrapnels would either be deactivated or blow up as well, setting off a chain reaction and increasing your multiplier bonus. Monsters is the abbreviated title for a 3D RPG adventure made by TAGD, which was submitted to IGF as a Student Showcase competition entry. The story is set in the near future, about a world being overrun by huge creatures. You play the role of a human survivor named Furio, carrying on a futile struggle and perhaps find a way to defeat these monsters. Fifteen minutes into the game, you will discover an object which grant it's user the power to resurrect opponents defeated in battle. Any creatures brought back to life in this manner can be assigned as your team members, assisting Furio in his battles. A pretty good effort considering that it's free to download. Unlike other mods, you don't need Dungeon Siege to run it since the engine was designed from scratch. 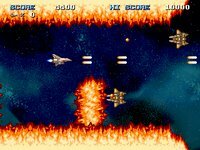 New Soft Landing screenshots over at Shmup Dev. Demo to be released soon. Soft Landing's development diary can be found here. Cave Journal points out a newly added pic to Pixel's web site. Phil Hassey and gang releases Watermelons, a post-PyWeek 2 game. An interview with Jeff Smith, the creator of Bone, can be found over at Adventure Gamers. 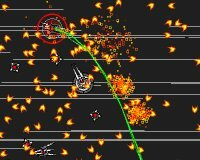 Dakurv releases new screenshot for his latest project, Nano Strike. A walkthrough for Indiana Jones and the Crown of Solomon can be found here. Bone: The Great Cow Race is the second videogame adaptation of Jeff Smith's popular comic book series. The storyline is practically taken right out of the original print, although new characters, conversation threads and puzzles have been included to make the experience feel much more like a complete adventure instead of a simple narrative. A large portion of the game allow players to switch between the three cousins at any time, much like Day of the Tentacle. Sometimes, it's imperative to complete a task with one of the Bones for another to solve a puzzle. The voice acting is excellent in most places, which holds true particularly when it comes to Fone Bone, Smiley and Phoney Bone. Telltale Games have included not one, nor two, but at least three different descriptions for just about every object that can be interacted with. It's commendable that they have taken the effort to create a little realism in the game because most people don't repeat what they say anyway. Granted, not all players will exhaust every option available to them though it does help to create a sense of immersion. This chapter is memorable for it's humor in just about every page, and fans of the book will recognize not just the locations but also the funny quips and scenes taken right out of the black and white pages. A good outing thanks to improvements in all areas, plus it does feel like playing a classic LucasArt title at times. Demo of Indiana Jones and the Crown of Solomon fan game released today. Codeminion currently working on Pteroglider Reloaded. Beta version of Paladin now available. Free Lunch Design releases Frog Hunt. Don't be surprised to find the game broken. Automation is a winner of the first One Room One Week Competition, in which all entries are small games made in a relatively short period. The story is centered around a bloke who met an accident while transporting a rather expensive droid, and must attempt to recover his experiment back in one piece or risk losing his job. The kick command yields some interesting actions when used on certain objects. Most puzzles are logical though some items require a bit of pixel-hunting. Mr Colossal was also the developer of 6 Day Assassin, winner of two AGS awards. The story in Ben Jordan: Paranormal Investigator Case 2 begins with a distress call followed by a long trip to a small Californian town. Your quest this time involves tracking down a missing husband, complicated by the fact that the search will take place in the middle of a desert. The notebook that you carry with the rest of your possessions seems pretty useless, and there is one red herring in the game. An exit area is well hidden from the rest of the locations, although these are really minor nitpicks. If you've enjoyed the first adventure then the second part will not disappoint. 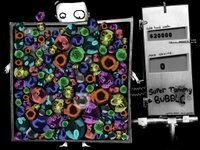 Super Tummy Bubble is a surprisingly fun matching game by Kyle Gabler, featuring an interesting physic-based combo and point scoring system. Starting off with twenty grand and a ciggie in hand, your stash will decrease for each parasite you dismiss. The amount lost is relative to the size of the parasite, so it takes a bit of planning to make some profit from the initial outlay. Of course, the player is free to pop organisms just for fun and not worry about any game-ending consequences. Now for some rules. Similarly colored parasites merge and increase in size when coming in contact with each other. These pop automatically if they outgrow a certain size, which is especially fun to watch when more than twenty of them pops in sequence from just one move. The combo earns you extra cash as well. The strategy to get a higher score is by popping smaller parasites first and hoarding larger ones in your tummy for as long as possible. Pretty hard to execute since all objects are dynamic. 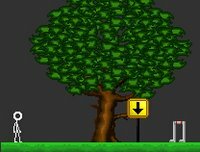 Hurdler is an earlier effort from the developers of Cave Jumper, where the objective of the game is to leap over various obstacles in order to acquire a yellow balloon at the end of each level. Press the arrow keys at the right time to determine the distance and height of your jumps. Points are awarded for each successful hurdle. Looks deceptively simple but can be very challenging in later stages. Ben Jordan: Paranormal Investigator Case 1 - In Search of the Skunk Ape is the first in a series of eight games planned by Grundislav, chronicling the adventures of the titular character as he travels around the world to solve all sorts of mysteries. This particular effort is well-written but pretty short in length. Graphics do a decent job of portraying the action but not much more than that. Some of the puzzles are perplexing at times but at least pixel hunting exercise is kept to a minimum, unlike other amateur AGS releases. A walkthrough can be found here. the2bears had also pointed out another Paradroid remake named Paradroidz. Thanks! 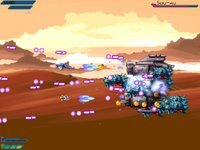 Grid Assault gets a final update. Val and Rick is probably the precursor to Gunroar, featuring similar controls but in a different environment. 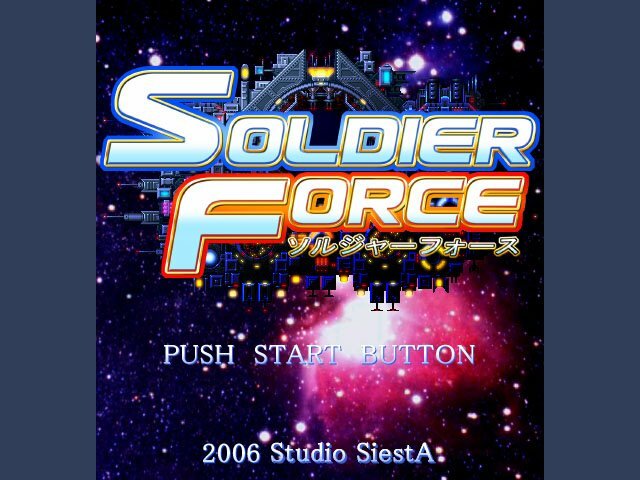 Only 2D sprites and backgrounds are used in what seems like a tribute to Xevious and Star Soldier. It could be a prototype but the game is pretty much complete and bug free. No information page was ever made for it either. Press the Z key to shoot and hold down the X key to fix the direction of your aim. 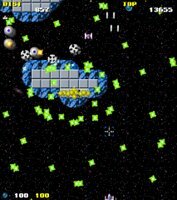 A power-up icon in the shape of a tiny ship named Rick will appear if you collect enough blue orbs from defeated enemies, which is indicated at the bottom left of the screen. This will cause your ship to go into hyperdrive, that is until all energy is spent or your spacecraft takes damage from enemy bullets. Each successful hyperdrive attempt increases the counter by another hundred. The X key can also be used to drop bombs on grounded objects. Tap the P key to pause. The closer your ship is to the top of the screen, the faster it scrolls. Some Cave Jumper hints can be found here. Free Lunch Design to release new project this week. More information about the secret project can be found here. 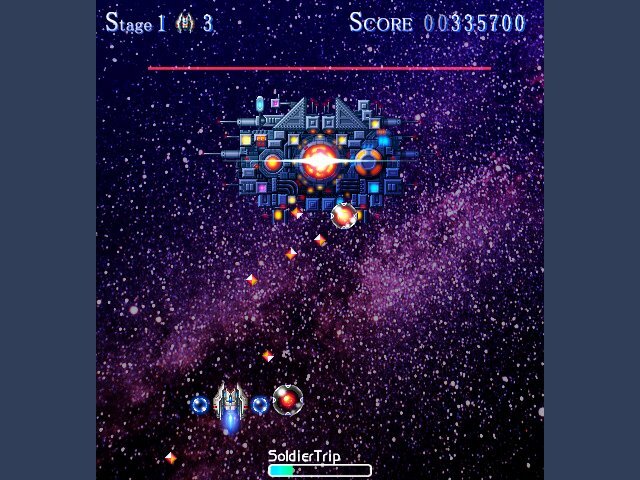 CyberSpace Assault is an interesting Shmup Dev competition entry by pixelizr that mixes 2D sprites with abstract graphics, backgrounds and explosions. 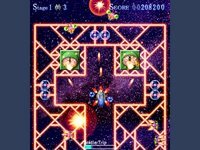 The game only ends if your score reaches zero, although you can increase it by grazing bullets or destroying all enemies in each stage to earn a Perfect Termination bonus. Taking a hit means an instant deduction of a thousand points from your score. Choose between two beams to use by pressing either the Z or X key. Hold down the both keys to activate your shields. As mentioned by the author, Evolutions is an effort inspired by a rather obscure SNES release with similar gameplay elements. Starting off as a microscopic lifeform, you must eat your way up the food chain while avoiding creatures larger than you from causing any harm. The status bar shows your current energy, which can be replenished by eating smaller organisms. A cocoon will appear once you have consumed enough food. Guide your avatar into it for a growth spurt and perhaps a new ability or two. It's still a work in progress but the demo does allow you to sample just enough before kicking you back to the desktop. Nathan's Second Chance is an excellent freeware adventure game made by Tim Knauf. Much like what the title suggests, your character has a sudden heart attack and finds himself embarking on his final journey. Only this time, the trip involves a bus ride to meet a Brit. The eccentric man offers Nathan another opportunity to return to the land of the living, but under one condition. He must reconcile his differences with his daughter, who no longer stays together with the family. And so the grand adventure begins. It's fairly simple to get into, thanks to an extensive tutorial. All the puzzles are relatively easy to solve as well, contributing to the gameplay because the story continues to move along without long pauses or unnecessary side quests. 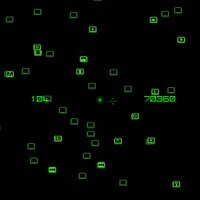 Cathode Raygun is jph's Shmup Dev competition entry that was made with wonky controls on purpose. 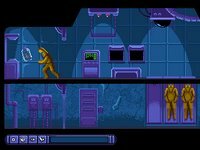 The objective of the game is to collect thirty-two pods with the help of a tractor beam that can be activated by pressing the X key. Once you have collected enough pods, the final boss encounter begins. Pretty short but quite fun nonetheless. Spacebound is the debut effort from Gamenauts, a surprisingly slick production despite the simplistic gameplay it seems to offer. 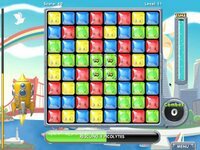 Captain Bloom is on a mission to recover cute little creatures named Picolytes, which of course translates to rotating blocks in the guise of puzzles. By rotating four blocks of the same color to form the shape of a square, you'll be given several seconds to make more similarly colored squares or rectangles for a combo bonus. Scoring ten combos will reward you with Superstar blocks, which can be used to remove all blocks of a certain color from the playing field. The rescue bar does tick away rather quickly but there exists a power-up to slow it down in later stages. Puzzles in the first two cities which you travel to will seem relatively easy but things do get slightly complicated once you arrive in the third. Some blocks will be locked, hindering movement of other objects around it. Others have no color thus no matches can be made with them. Bombs often make their appearance when you least expect it, threatening to knock back any progress you've made unless they are defused quickly. Stomping Grounds is the latest release from Mind Control Software which plays like a card battle game minus all the complicated rules. Each encounter consists of six rounds in total, and a key is awarded for every round won. Food is basically the currency used for upkeep and skill upgrades, found commonly by unlocking treasure chests. Animals chosen from your herd to participate in a round cannot be selected again for the next one. Outnumbering your adversary is a good idea although you might be left with no able bodies to fight in subsequent battles. Al Emmo will take up more than 1 gigabyte of hard disk space after installation. ACG scores an exclusive interview with Ken Williams. Rag Doll Software releases Super Steal Ball. A glance through Pocketwatch Games' forum reveals information about their next project. R.I.P. : Strike Back is the sequel from White Elephant that ditches the turret action almost completely, allowing the freedom of movement for all three playable characters. Each avatar has a set of skills and perks that can be acquired by gaining experience, influencing their chances of surviving harder battles. Unlike Crimsonland, most levels were crafted with different challenges in mind. Fans of the original won't be disappointed with this release. The Odyssey: Winds of Athena is an interesting effort by Liquid Dragon Studios, recently winning PopCap's Casual Game Award at Slamdance. The objective of the game is to guide Ulysses and his fleet across the Mediterranean Sea, on a journey to return home after the grueling Trojan War was fought and won. 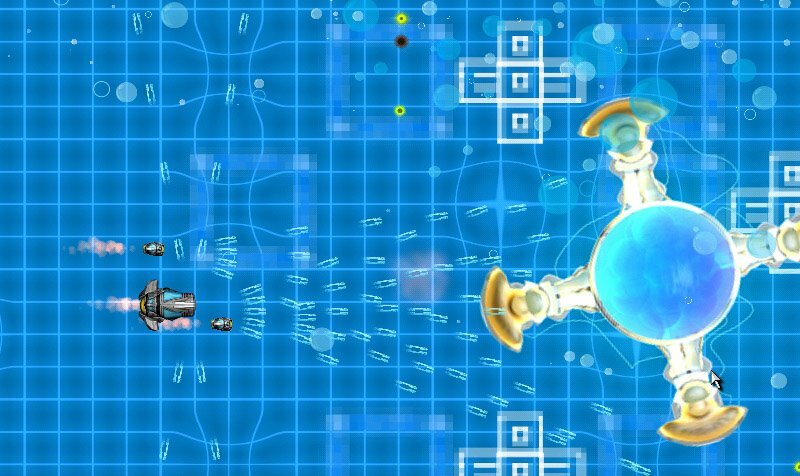 In each level, a number of ships must make it to the exit area although multiple attempts are allowed should you fail the first few tries. Gameplay involves using currents to move the fleet around. Simulate the motion of drawing a line using your mouse, and a strong current will appear. With any luck, the ships will use the currents to inch closer to the exit. It does feel like playing Psygnosis' Lemmings at times, minus the need to learn new skills. 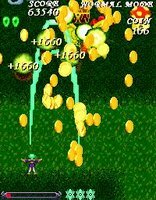 Arachnos is an effort by BootanSoft that is reminiscent of arcade shmups from the early 80's. I could not get this to work full screen, but changing to a lower desktop resolution helps. Controls are shown under the configuration menu. The graphics may appear to be bland but does improve after the second level. Several weapons most commonly found in Konami's classic shooters make their appearance here, such as ripple lasers and options to name but two. Your ship does not explode immediately when hit, allowing options to be recovered immediately after the loss of a life. 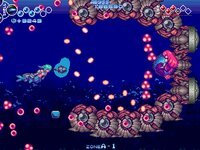 End level bosses have several attack patterns, guaranteed to test your bullet dodging skills. 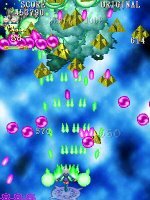 The asteroids in stage two can actually be used as a temporary shield during the boss battle, assuming that you don't crash into any of them. Lately, there seems to be a resurgence of puzzlers requiring more careful thought rather than casually clicking to swap pieces around. 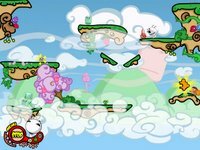 Developers are looking for ways to make their games more challenging, and Professor Fizzwizzle is one good example. Klei Entertainment's debut effort tells the story of Eets, on a quest to collect puzzle shards with the guidance of a helpful mentor. Mood swings determine many of Eet's actions, which can easily be influenced by digesting buds or marshmallows strategically placed at certain areas. Most times, jumping alone isn't the solution so several other creatures and objects have to be used to assist Eets in reaching the puzzle shard. Like Jeff Tunnell's The Incredible Machine, gameplay is broken into two parts. The first section deals with item placement, allowing players time to deliberate over the course of action. Some objects may only be activated in the latter half when the scene begins to play out. The production value is impressive from top to bottom. Graphics, music and sound effects all contribute to the playing experience, which is probably best described as watching a top-notch animation that you could participate in. 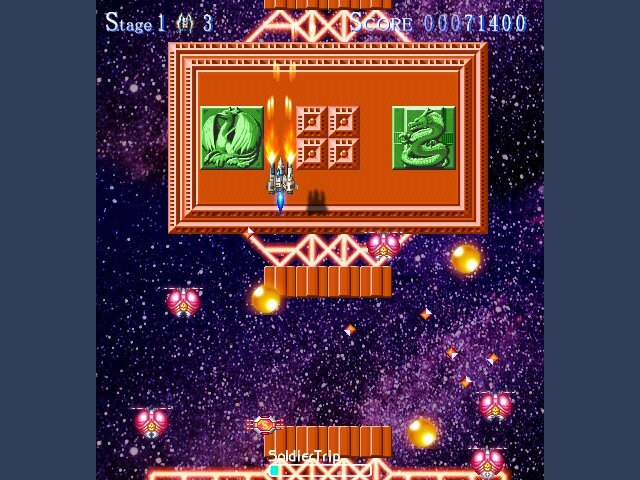 Additional levels are available for download, thanks to the inclusion of a level editor. 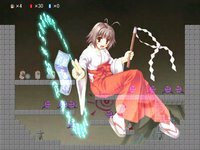 Mikomiko is a platformer by Shindenken featuring an interesting attack system based on swinging a talismanic stick to exorcise ghosts. By pressing the Z and X key to swing the stick, it's momentum can be used to ward off evil spirits and cause damage in the process. Only the tail end of the stick has any effect on the enemies. You can break certain objects to collect red charms, then throw them at enemies by tapping the C key. The charms will attach themselves to whatever they come in contact with, and explode a few seconds after deployment to cause injury or break some walls. Rare blue charms can be thrown by pressing the V key. The 70MB trial version is pretty short considering that there's only five stages to work through, plus the gameplay itself isn't exactly revolutionary. As usual, another shooter from Japan that doesn't disappoint. One unique feature in Tobi Tsukihime is a pod that can be directed and sent out to destroy enemies at any angle. The X and C keys are used to control the pod in different ways. Holding down the primary shot button will allow you to fire rapidly. A small target indicating your hit point will be shown as well when you have the Z key depressed. The demo is pretty short but does showcase enough to get any shmup veteran excited. A 20MB trial version was only recently posted for download, which can be accessed from this page. 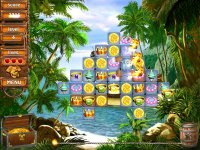 Treasure Island is the latest effort from Nevosoft, a match-three puzzler with plenty of eye candy on display. 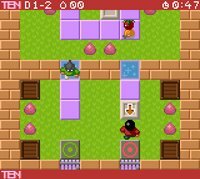 Instead of swapping tiles, objects can be picked up and placed anywhere on the board provided that matches of three or more are made for each move. If you're holding an item that could not be placed anywhere under this rule, it will be automatically exchanged with another object that can be used to make matches. Pretty graphics but very generic gameplay. A first in many weeks, Hex-a-hop is a puzzler by Tom Beaumont that does not belong in the casual games category. Your quest involves stepping on all green hexagonal tiles in each stage to make them disappear. You can take as long as you need to figure out a solution. New tiles are introduced during your journey with adequate instructions. Later stages include walls, trampolines, frozen tiles and more. Some level hints can be found on the web site as well.